This week I acted as a guest judge for a Fashion Challenge run by the fabulous blog What Would Emma Pillsbury Wear. Every week, blogger (and fellow Gleekdom member!) Danielle picks one item from Emma’s wardrobe and invites readers to come up with Emma-worthy outfits based on that item! To do so, fans use the amazing time-wasting site Polyvore (seriously, don’t click the link unless you have time to burn! ), and the results are always stunning. I had tons of fun judging this week’s entries and you should all check out the amazing looks over on Danielle’s blog. Have me over for judging anytime, Danielle! And all you gleeksters in love with Emma’s clothing (or, for that matter, any of the character’s wardrobes)? Go enter her contests! 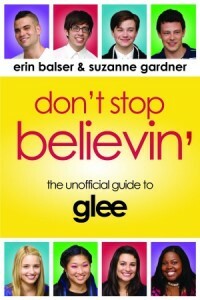 ← Exclusive giveaway from The Gleekdom!